Sizleri Cumhuriyet Bayrami’ni kutlamak adina 3 Kasim 2018 Cumartesi aksam 6’da asagidaki adrese davet ediyoruz. Mekan 80 kisilik oldugundan lutfen biletlerinizi burayi tiklayarak satin alabilirsiniz . Odemeyi paypal ile veya check yoluyla yapabilirsiniz. 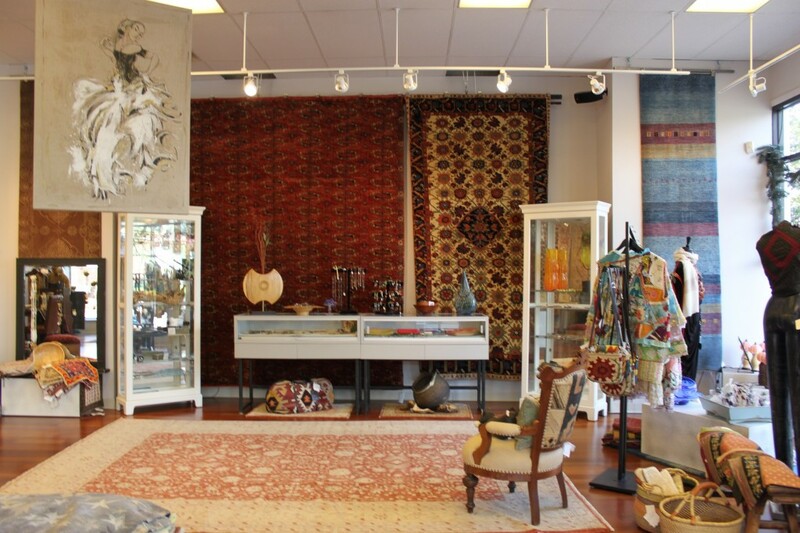 Yemekler Anatolia Cafe tarafindan hazirlanacaktir. We invite you all to celebrate the Republic Day together on November 4th, 2018 Saturday 6 pm at the following location. 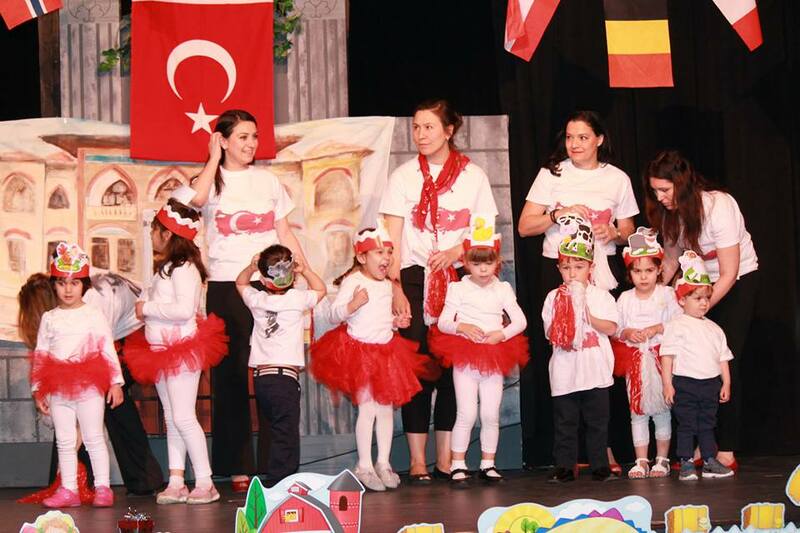 The dinner will be prepared by Anatolia Cafe. 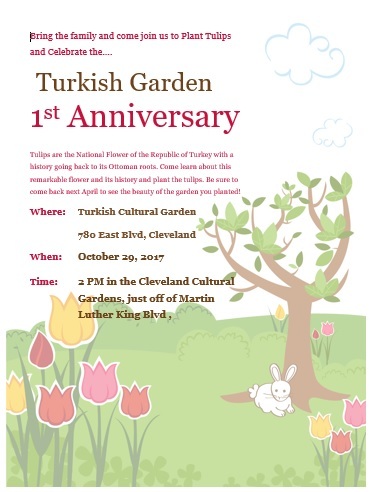 Below is the flyer sent by Turkish Cultural Garden Committee Christine Gencer. Sizlere hatirlatmak isterizki bahar piknigimiz asagidaki zaman ve yerde yapilacaktir. Sizlerin desteginize ihtiyacimiz oldugunu hatirlatir piknik icin elinizden ne geliyorsa getirmenizi rica ederiz. Karisiklik olmamasi acisindan getirmek istediginiz yemegi bizimle paylasirsaniz cok memnun oluruz. On September 17th 2017 we will be having our annual picnic. We would like to inform you that we will have our picnic on September 17th 2017 Sunday. The address and the information is above. We also kindly remind you that any support you may provide would be appreciated. Please communicate what you are planning to bring to the picnic with us in advance to prevent any confusion or redundancy. 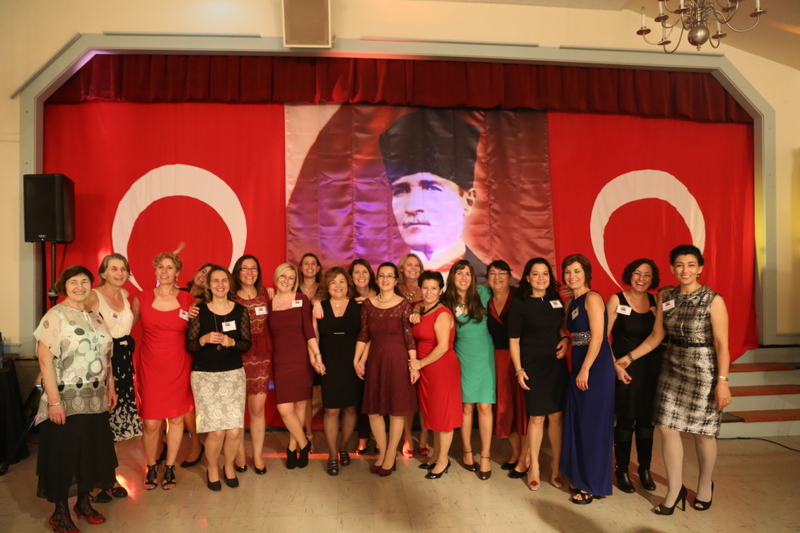 Please join us for a fine dining gala and get together to celebrate the Republic of Turkey! Cumhuriyet Bayrami’ni hep beraber kutluyalim! This year we have chosen the private party room at Cibreo Privato in downtown Cleveland for our party celebration! 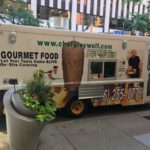 The dinner menu will be a Mediterranean inspired plated three course meal with wine and beer included during dinner as well small appetizers. Cash bar will be available for any other beverages you might enjoy. **RSVP’s must be made by October 21st. Any RSVP received after this date will be subject to availability. Only cash/ check payments accepted at the door. Please RSVP to Ayla Gencer at 440.670.5528 and send your RSVP payment to TASNO’s PO box. or you can make your payments from the link below. BROADVIEW HTS, OH 44147Looking forward to celebrate with you! ADLI TİYATRO OYUNUNA SANATSEVER VATANDAŞLARIMIZI BEKLİYORUZ! Cumhuriyetimizin 92. yıldönümünü kutlamak için düzenlediğimiz TASNO Cumhuriyet Bayramı yemeginde sizleri aramızda görmekten mutluluk ve onur duyacağız. Muzik ve eğlence profesyonel DJ Kris Koch tarafından sağlanacaktır. Ozel odullerimiz icin cekilis yapacagiz. Lütfen yerinizi 1 Kasim’a kadar ayırtınız. 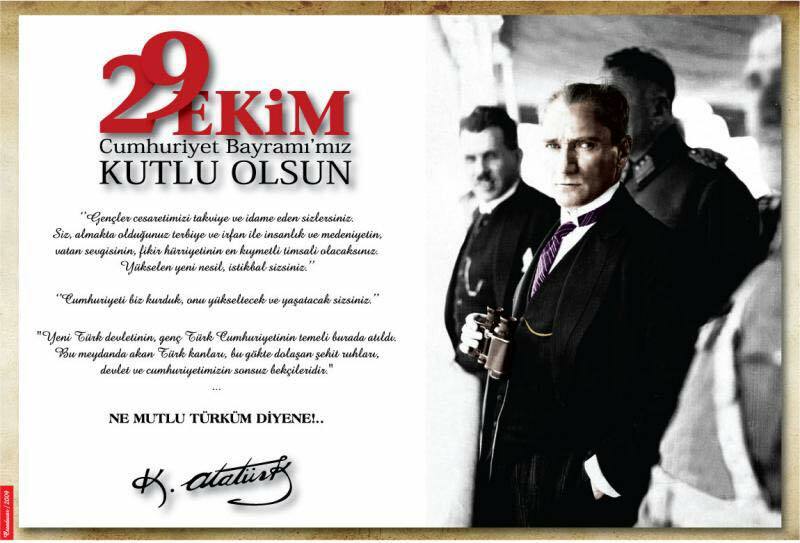 TASNO is very excited to invite you to a night in celebration of the 92nd anniversary of the founding of the Republic of Turkey. Music provided by professional DJ Kris Koch. We will have raffle with special prizes. Please RSVP by November 1st. We are organizing the 2nd Turkish Classical Music night with TASNO Choir as well as Mr. Hasan Sarikaya on ‘baglama’, on May 16th Saturday at Abrash Gallerie, starting at 6:30. Light dinner and alcoholic/non-alcoholic drinks will be served. The cost for this event will be $25. The seating is limited to 40, so please RSVP to tasno@tasno.org at your earliest convenience , you can as usual send checks or pay through paypal link which will soon be available on our website. We need an exact count of RSVPs by May 9th so we can order food and arrange set-up accordingly.